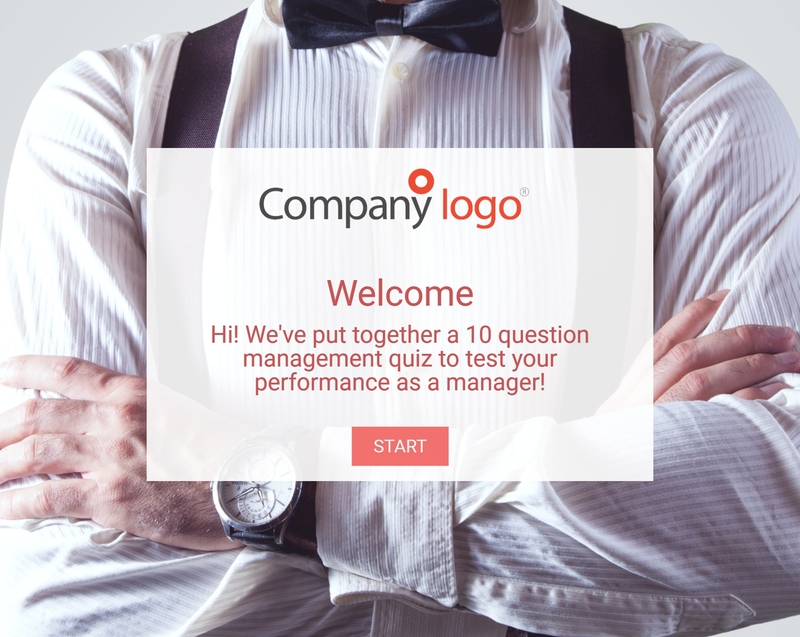 To customize this template after signing up, choose ‘Management Quiz’ as example when creating a new survey. The importance of management quizzes comes down to the importance of management itself. The point of a management quiz is a fun and educative way to test your performance and see in which areas you can still improve. The end goal is to make you a better manager and more succesful in your carreer. At the root of every succes is the hard work of a great manager. That manager needs to be an expert at planning, leading, organizing and controlling workflows and employees. This test is designed to determine if you exhibit the qualities of a great manager! Why use Survey Anyplace as a Management Quiz Tool? Our quizzes can be taken online, or offline with any device and made available in any language. This convenience gets you higher response rates and better data. To use this sample Management Quiz, sign up for Survey Anyplace , and choose ‘Management Quiz’ as template when creating a new survey.